How excited are you guys that the Nordstrom Anniversary Sale is finally here!! I will be bringing you the very BEST of the Nordstrom anniversary sale–early access. The early access is for card-holders only, so if you don’t have a nordstrom credit or debit card yet, I highly suggest you get one! You can get one today, easy and if you spend $100 you get a $20 nordstrom note in the mail! So today I am sharing my favorites for early access women picks. 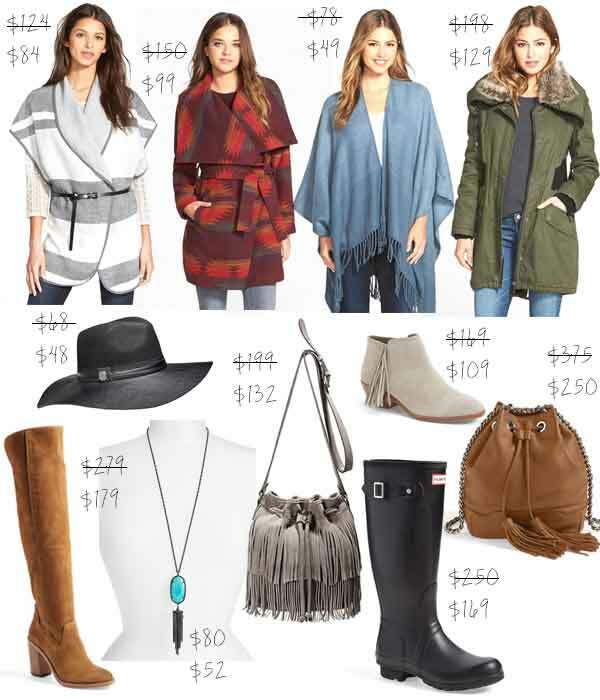 These deals sell out fast, especially the women’s fashion and baby items so that is what I will be first sharing with you today. Drag cursor over the items and click through to item details! Black or Cognac Bucket Bag originally $48 now only $31–this one will go fast! Lace Crochet Pullover Originally $44 now $27! Love the lace detail. So cute! Hinge Stripe Cape originally $78 now $49! This one will sell out fast. Getting this today! Nike Classic Kicks I have to have these! They never go on sale! Gorgeous Strappy Heel originally $99 now $64! Comes in red, black, navy and pewter. Yoga Space Dye Legging originally $28 now $17 -This print is so cute and a STEAL at $17! Tory Burch Sunglasses originally $210 now $139 a classic pair of sunglasses and love the tortoise. Philosophy Bath Sets originally $68 now $38! Addicted to their shower gel and lotions! Colorblock Fringe Poncho-originally $42 now $27 -love me a fringe cape! I would wear this as a scarf too! Cozy Cowl Neck Sweater originally $44 now $27! Comes in several colors. This looks so cozy and you can beat the price! I love that you put the sale prices in the picture! Great finds! Hi, I love your picks especially the sneakers. Any idea where I can get them? I don’t see them on nordstrom’s website. Thanks! They sold out, so sorry!